​BlossOMing Yoga is a boutique studio that offers weekly small-group classes, and private yoga therapy sessions. Thoughtfully decorated, the dark bamboo floors are meant to connect you to the earth element, and ground you in your being. The curtains and ceiling fabric offer a complimentary vibe that is light and flowy. The overall effect is a space that is cozy and comfortable. Here you will find a diverse group of students where all ages are represented. Come and visit our welcoming studio where you might just find your yoga home. BlossOMing teaches Practical Yoga. Yoga that is meant to be taken into your daily life. Inclusive, community, authenticity, and education. ​Colleen is an Experienced Registered Yoga Teacher (E-RYT500), Registered Prenatal Yoga Teacher (RPYT), Yoga Alliance Continuing Education Provider (YACEP), a Certified Yoga Therapist (C-IAYT), and a Reiki Master, Teacher and Trainer. She has been practicing yoga as a dedicated student for over 19 years, and teaching for 14 of those years. With over 1000 yoga training hours accrued, Colleen has created a style that is her own. With a focus on detail, she teaches yoga in a way that makes it practical; helping you to understand the body’s optimum alignment so that you move through your day (on and off of the yoga mat) with more body awareness and balance. Colleen is 200 hour certified through Yogi Master Alan Finger's Be Yoga, in the ISHTA (Integrated Science of Hatha, Tantra, and Ayurveda) style. She is 300 hour certified through Inner Peace Yoga Therapy, where she studied with world renowned teachers. 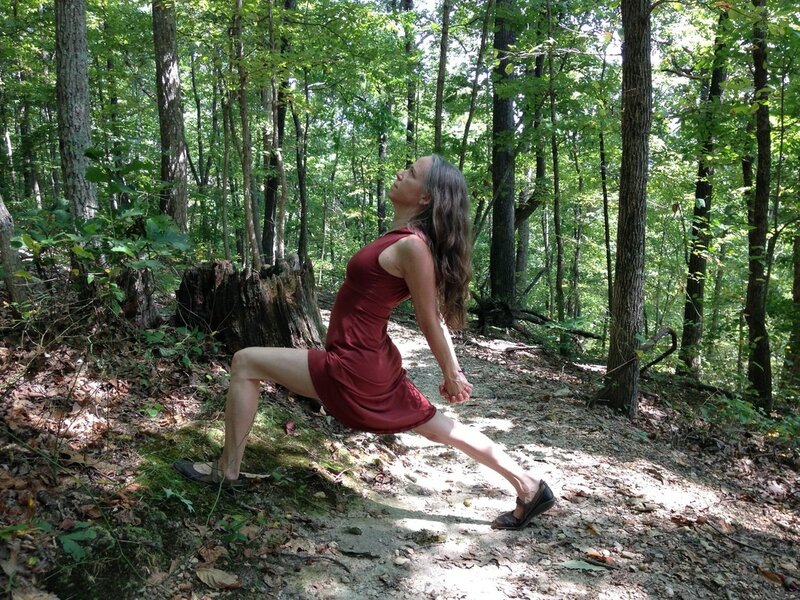 She has taken advanced studies in Functional Yoga Therapy with Maria Kali Ma, Yoga as Medicine with Dr. Timothy McCall, and is trained in Life Force Yoga with Amy Weintraub. Colleen has studied Vipassana (Insight) Meditation and various other styles. She completed a children's teacher training program at Karma Kids, NYC, and was certified by Sonia Sumar to teach Yoga For Special Children. She is a certified Prenatal Yoga teacher, Couples Yoga for Labor and Delivery, and Postpartum/Mommy and Baby Yoga. Colleen is also a Reiki Master; she offers Reiki sessions as well as Reiki Trainings. Through the accumulation of all of these experiences Colleen has developed a style all her own, taking a gentle approach, honoring the body, and paying detailed attention to alignment. Colleen creates a safe environment where she shares her kind, soothing, accepting spirit, and obvious passion. Currently Colleen teaches private yoga therapy sessions, guiding students through practices that are uniquely created specifically for them and what is present in their life. She teaches small-group classes in Nashville at her quaint yoga studio, BlossOMing Yoga. She also leads workshops, retreats, Reiki Trainings and Yoga Trainings both locally, and out of town. ​ Prenatal yoga and kids yoga are currently only available in private sessions. "I had cancer in my mid-thirties. Fortunately, yoga was already a huge part of my life, practicing regularly 3 to 4 times a week. Post surgery, when I returned to my asana (posture) practice, I approached it differently, because I had changed through my experiences. My priorities shifted. I started focusing more on my body alignment and what I was feeling - while putting my legs behind my head was still fun (and continues to be so), it became less important. My practice really started advancing, and it still is. I teach and practice in a way that strengthens and brings ease to the body, rather than depleting it. If you practice advanced postures before your body is ready for them, you do it more harm than good. If your body is not in proper alignment in a posture, then your prana (life force energy) doesn't flow properly, and you create tension in your body. My goal is to help you practice a posture until you find ease and proper alignment in it, and when you do, then you move easefully into more challenging variations. The end result is that your physical body will benefit more greatly from your practice." "I believe the body can maintain strength and mobility as you age. In fact, my body keeps getting stronger and more balanced. To keep your body healthy you HAVE to move it. Stress plays a huge role in the body's ability to be comfortable, strong and flexible. So you must also be aware of your mind, if you choose to age gracefully. Moving your body deliberately and mindfully is a pathway to well-being." Graham found his first peace of mind on the streets of New York City. He moved there to be with Colleen, and found that the over-stimulation was too much for his intellectual mind, and a presence emerged that he had only read about. He added meditation to his yoga practice, and soon discovered Akashic Record Reading. In recent years he traded skateboarding for obstacle athletics, and also enjoys preparing natural foods, playing music, and sharing his love for learning in many ways. He can be found at BlossOMing Yoga teaching mediation classes, and occasionally providing live music. Ali has been a lover of yoga since she was a young girl and has been teaching since receiving her certification in 2006. Having taught in New York, Chicago, Iowa and Nashville, she did her 200 hr certification with the Sivananda Ashram in Nassau, Bahamas. She has done further yoga teaching education with Core Power in Chicago, as well as prenatal training at Global Yoga in Chicago. Ali grew up in Fairfield, Iowa in a school where yoga and meditation were part of the daily curriculum. She was diagnosed with severe scoliosis as a child and her yoga practice has played a major role in helping her spine over the years. She is also a singer-songwriter and performs often in town as well as on tour.